Keeping track of bulk fluid dispensing can be a frustrating and time consuming task with many workshops still unable to effectively manage the fluids dispensed from bulk tanks. Independent analysis reports that, in the average European vehicle workshop, 10% of oil purchased is “lost” and is not charged to the customer. Any “lost” fluid results in the direct cost of the lost fluid AND the lost profit that would have been made if that fluid had been invoiced. What does the OilPro Oil Management System do? 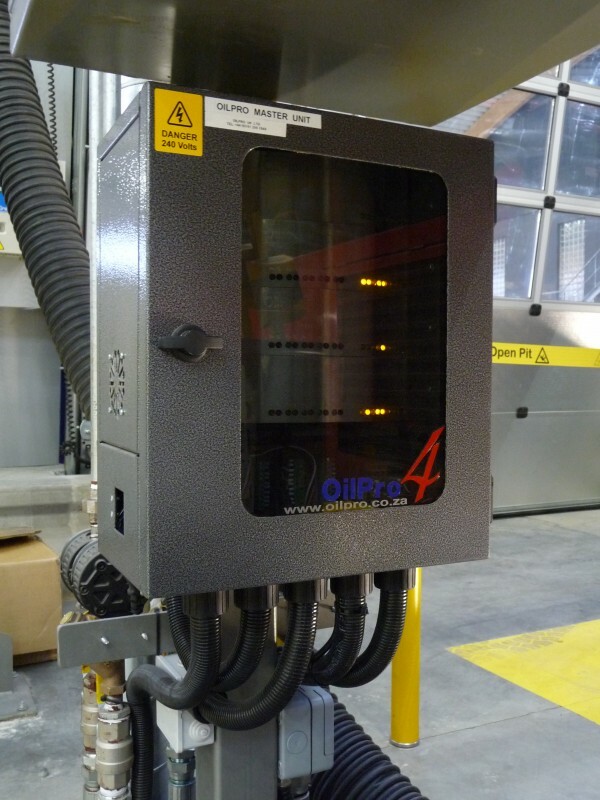 The OilPro System delivers specified quantities of oil / fluid from bulk tanks to dispensing points/reels in workshops with pressurised lubrication lines, while keeping accurate records of all transactions. 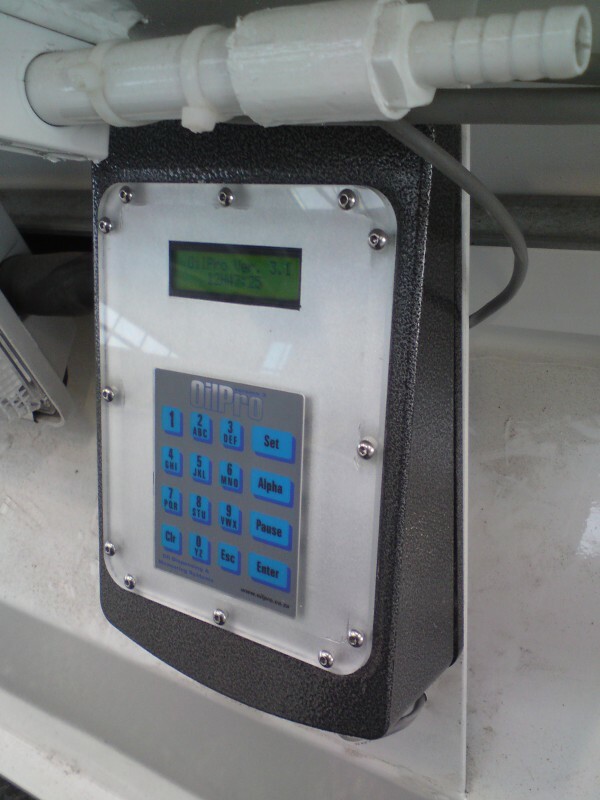 It is an effective loss control system, providing protection against unauthorized dispensing. 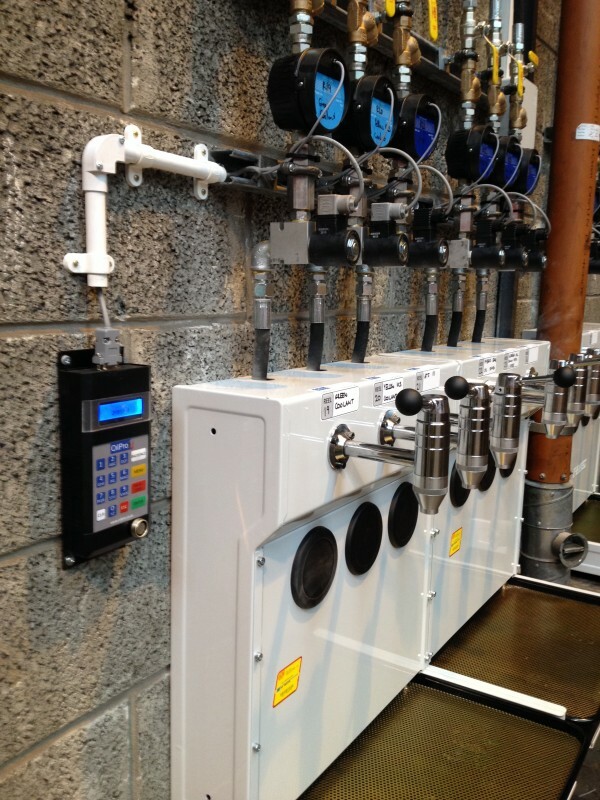 Flow meters and solenoid valves are installed at oil reels/outlets in the workshop and these metering units are connected to the OilPro control box which prevents the fluid from being dispensed unless the valves are activated. 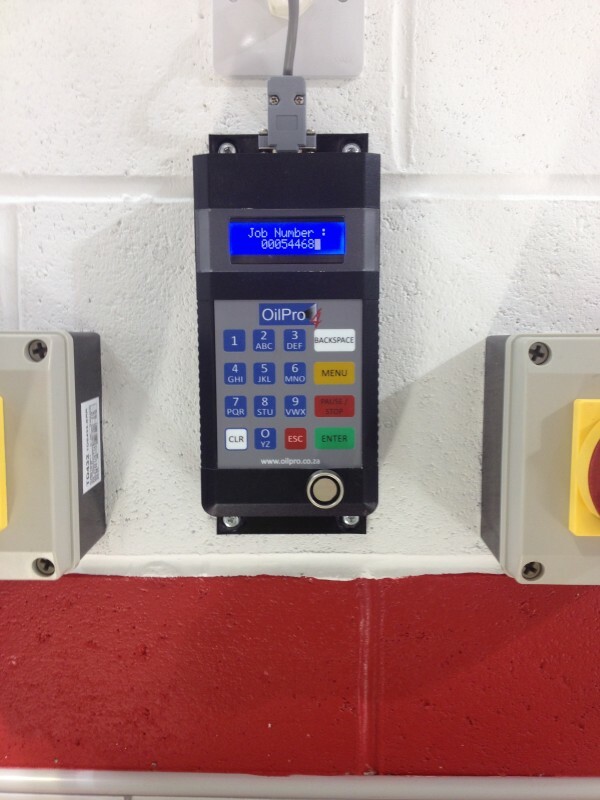 Mechanics are required to enter information on the OilPro keypads located around the workshop and once the required information has been entered, the control box will open the valves and allow fluid to be dispensed. Records will then be kept on the OilPro PC software which can be viewed by the admin staff or, in some cases, the fluid usage is automatically booked to the jobcard/invoice through the accounting/DMS software integration. Prevent unauthorised fluid dispensing Dispense fluid accurately, reduce human error and wastage Keep accurate records of dispensed fluids Monitor tank levels and receive tank level warnings (incl. email warnings) Integrate with popular DMS software (fluid can be booked to the jobcard automatically) Increase efficiency Reduce stock loss Maximise profits from bulk fluids! A considerable amount of admin staff and technician time is wasted trying to keep track of bulk fluid dispensing. In addition to the direct cost of any “lost” fluid, many workshops forget about the profit which would have been made had the oil been invoiced – some workshops are losing far more money than initially calculated! An independent software retailer in Europe claim that an average 10% of oil purchased in vehicle workshops is not invoiced and hence is “lost”. Consider how much stock AND profit value is being lost if just 5% of the oil/fluid which is purchased annually in your workshop is not being charged out. Consider the additional labour savings if costing staff and workshop time is not wasted trying to figure out ‘who pumped what’… A busy workshop struggling to keep track of fluid usage can collectively waste up to 10 minutes labour time each day if a mechanic has to be called into the office on 3 occasions to figure out why fluid usage is not written on the jobcard… this can amount to many hours of wasted labour time in a year. The realized annual value of an effective oil monitoring system can easily result in the CAPEX for the equipment and installation being paid back in 18-24 months – far sooner for some!